Fatgirl Hedonist: Dogfish Head And MC Kitchen Team Up For The Mother Of All Beer Dinners. Dogfish Head And MC Kitchen Team Up For The Mother Of All Beer Dinners. For craft beer geeks, Dogfish Head Beer is considered the Alpha & Omega of the craft beer scene. It is one of the biggest and most popular craft beer breweries that have garnered national acclaim. So the idea that the founder of Dogfish Head Brewery will be in the 305 to host a beer pairing dinner is kind of a big deal. 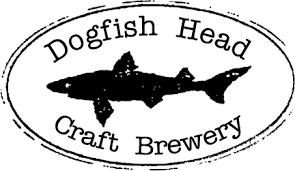 Sam Calagione (Founder of Dogfish Head Brewery) will be at MC Kitchen on November 13, 2014 at 7:30pm hosting a 4 course beer pairing dinner. Sam (he doesn't know this, but we're bff's and on a first name basis) will be explaining the vintage beers he'll be bringing with him as well as be on-hand to answer your craft beer questions. Dena Marino (executive chef at MC Kitchen) will be at the helm of the kitchen making dishes to pair perfectly with Dogfish Head's iconic brews. The menu and beers will remain a tight knit secret until supper time. Pero like, the Miami rumor mill is already buzzing that the beers for the dinner will include 2012 Black and Blue, Vintage Festina Lente, 2007 World Wide Stout and a few more. Diners will also head home with gifts from the brewery, the restaurant and Alec Bradley Cigars. Now this dinner won't be cheap, seats are set at $175 per person (plus tax & gratuity). However, what's $175 to a die-hard craft beer fan with an opportunity to meet brew master, Sam Calagione? To make reservations, call the restaurant (305) 456-9948 or email them at info@mckitchenmiami.com ASAP. This place is really a hidden gem among Las Vegas restaurants! Came here for an affinity group get-together and had a great time. The environment is cozy and good for having conversations.